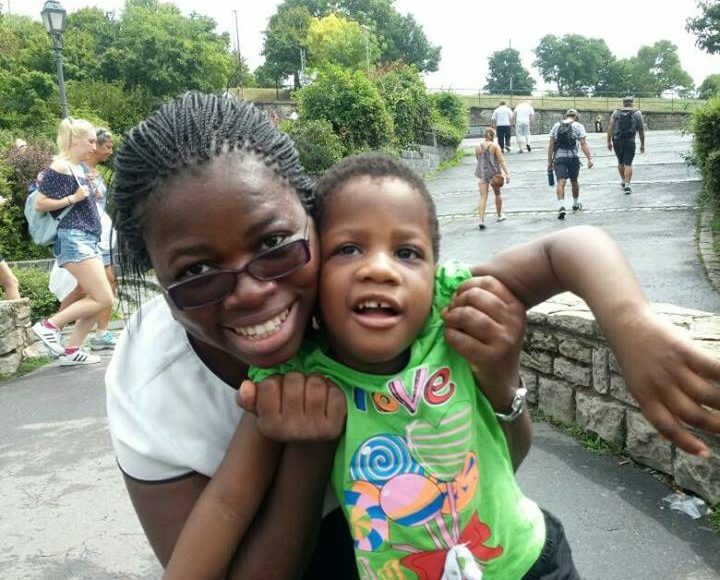 My name is Bukola Ayinde and I have a five-year-old daughter who has cerebral palsy. Cerebral palsy is a disorder of movement, muscle tone or posture that is caused by damage to some parts of an immature developing brain. When my daughter Oluwalonimi whom we fondly call Nimi was just a little over a year old, her paediatrician recommended that we take her to a neurologist for an assessment. She was assessed by a professor at the Lagos University Teaching Hospital. At the end of her assessment, she was graded as a stage 5 (stage 1 being least affected by cerebral palsy and stage 5 meaning most affected). My husband and I were told she would never be able to do a lot of things. We were told she might never be able to walk or talk or sit independently among other things. We took our beautiful daughter home knowing we will love her no matter what. Not knowing what to do, being a first-time mum, especially a mum with a special needs child I asked around and someone suggested I take her to a special needs school. I was directed to a special needs school on the mainland in Lagos, Nigeria. After six weeks, my husband and I took our daughter to the Peto Institute in Hungary, Europe. It is a school for children with cerebral palsy. Being in this school with my daughter made me realise that children, no matter their status or medical condition should be treated with dignity. It was a beautiful school with great facilitators. The entire facility was adapted to meet the children’s needs. The chairs and tables were suited for them. There were long horizontal bars by the sides of the wall that the children could hold on to. This would enable the ones that could walk with support move along the corridor of the school on their own. The restrooms were also adapted for their use. Instead of a handle for flushing the toilet, there was a rope to pull which was hanging down from the top of the restroom wall. It was easily accessible to any child who had shaky movements or unstable grip which is common with people living with cerebral palsy. Our daughter attended the summer session and we could only stay for a month. 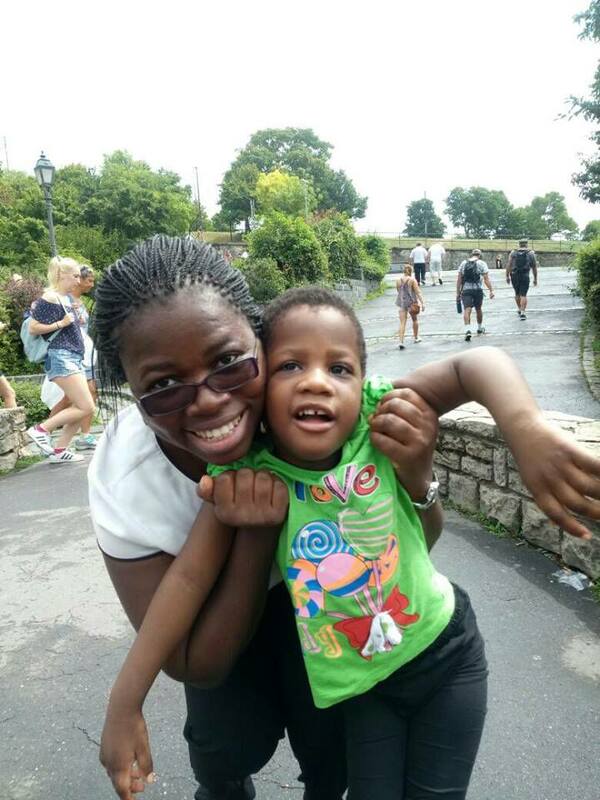 When we returned home, I made up my mind that my daughter wasn’t going to attend a special needs school in Nigeria. I had seen the difference when I travelled to Peto and I knew there was no centre that could provide that in Nigeria. I decided to homeschool my daughter and recreate the Peto experience. My husband and I employed a speech therapist, an occupational therapist, a physiotherapist and a professional caregiver. These four professionals attended to Nimi at home. One of the therapists told us about the benefits of inclusive education. In Inclusive education, children with disabilities and those without disabilities participate and learn together in the same classroom. The therapist said this type of education will improve my daughter’s social skills. On further research, I also discovered that when children with developmental disorders learn together with other children who do not have any developmental delay, children with developmental disorders tend to imitate the actions of their peers such as crawling, standing or walking. Please note that children without disabilities will not copy actions such as not being able to sit, stand or drool. They would not also get infected with cerebral palsy because it is noninfectious. Children without disabilities also gain from this interaction because it enhances creativity in the classroom. It teaches acceptance of difference and the children to learn to be more accommodating and show empathy to other children. My daughter’s therapist suggested that we find a regular school that Nimi could attend. This woman promised to give us a caregiver that would stay with Nimi at school. I bought into the idea and began to search for a school. Getting a school for my daughter wasn’t as easy as I thought. I didn’t want her to go far away from home but at the same time, I wanted a good school that could meet her needs. The proprietor of the first school I went to said there was no space to meet her needs. I made a list of the schools she could attend and discussed the options with her therapist. The therapist works with children in various schools around Lagos. One after the other, we had to tick off many schools from the list. The thought of subjecting myself to a series of rejection did not sit well with me. I spoke with the mother of a special needs child and she recommended her daughter’s school. I visited the school and met the proprietress who was very welcoming. She gave me a date to bring my daughter and her caregiver for an interview. I was nervous, praying they wouldn’t reject my daughter too. My husband came along with us for the interview. At the end of the interview, Nimi was given admission to the school. Even though Nimi could not talk for a long time and we were not sure she was learning anything, we kept her in school with her peers. When Nimi was physically assaulted by one of her physiotherapist, I withdrew her from school. I was through with mainstream schooling; I was determined to homeschool her myself. I asked some of my friends who had children in Nimi’s age grade what their children were learning in school. I wrote a study plan and we started homeschooling. She also had a nursery school teacher who attended to her at home three times a week. She taught her sounds and numbers. We were later encouraged not to allow one ugly incident keep Nimi away from school. Although I was scared, I decided to give it another try. This time I looked for a smaller school that could meet our needs. A big thank you to all the speech therapists that worked tirelessly, the occupational therapists, the physiotherapists and our beloved caregivers.Thank you for believing in our dream that Nimi could learn. Thank you to all Nimi’s teachers and school proprietress who gave her a chance to study with her peers. After close to three years of Nimi attending school and learning to read, she exceeded our expectations. At age four, she could identify all the 26 letters of the alphabets and associate them with objects. She could count from 1 to 50 and also count backward up to 10. Today she is able to read from 1 to 150. She is able to do her numeracy; additions and subtractions. Her class teacher once told me that if Nimi feels she is being neglected during a class session, (maybe the teacher is not asking her questions or not making facial contact with her) she would get her teacher’s attention and show her displeasure. That was achieved by social interaction. I remember her school’s Christmas party, her class teacher asked the children a question, ‘What are the things that help a plant to grow?’ She took the microphone to Nimi and my baby shouted, ‘water’. The other parents at the event were pleasantly surprised. They clapped and cheered. On the 2nd of March, 2018, I attended the spelling bee event in her school and my daughter took part in spelling words. Amazing, I must say because Nimi is still unable to talk clearly and she is fully dependent on others to do most things, like sitting, standing using her hands and eating. But as her parents, we have decided to focus on the things that she can do while seeking therapy for the things she cannot do. If we had decided that Nimi will not go to school until she was able to talk, use her hands, or walk, she may still be at home, unlearned; not fully able to engage her world. It is true that having a child with special needs changes your life a great deal but it also gives you the opportunity to write a beautiful story out of a seemingly hopeless situation. In a study conducted at Lagos University Teaching Hospital, it was found that cerebral palsy affects 1 in every 90 children born in Nigeria today. It affects the muscles, movement and coordination of the affected person. Therefore, some children are unable to walk, use their hands or sit upright. Some children may be unable to speak and for some others that can speak, speech may be unclear. People with cerebral palsy are not dangerous, you do not need to run away from them. You can just say hi! Having cerebral palsy does not mean a person is unable to hear, listen and learn. Every child has a right to education. Every child has a right to go to school.